You must be currently signed into our USV Network Slack in order to view our 2018 events calendar. 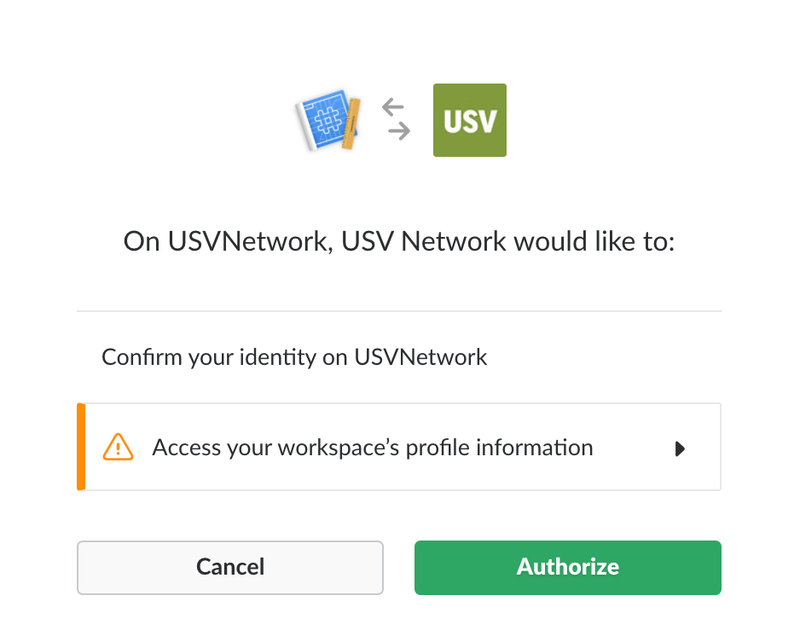 If you are not already a member, sign up at usvnetwork.slack.com/signup. After you are logged into our USV Network Slack, click the button below to access the USV Network events calendar. You should then be able to view our 2018 USV Network Events calendar. 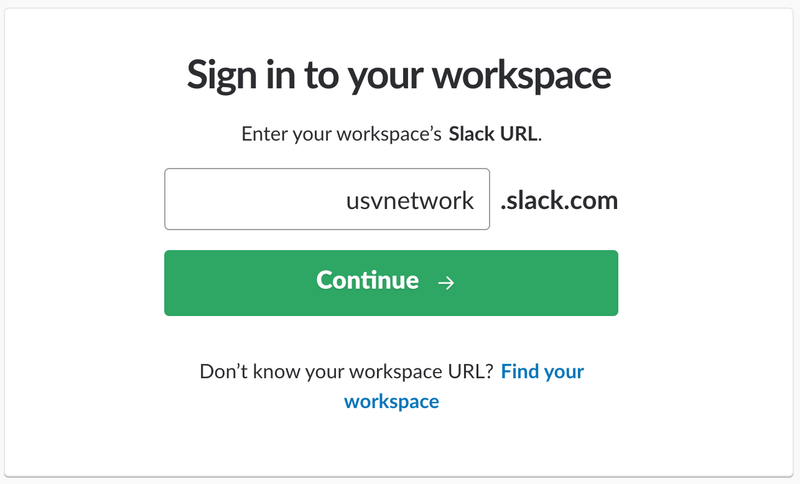 If you are not logged into the USV Network Slack on your web browser, you will be prompted to log in. Type usvnetwork into the text box as shown below. If you get the error below, that means you're trying to log in with a different Slack account.